On Episode 199 of CrossFit Radio, host Justin Judkins interviewed CrossFit A.C.T. owner Bill Shockley and Pepperdine University professor Dr. Cooker Perkins. This episode was webcast live at 6 p.m. PDT on Wednesday, Nov. 23, 2011. The score for this workout is the total number of thrusters in each round. 30:55 Dr. 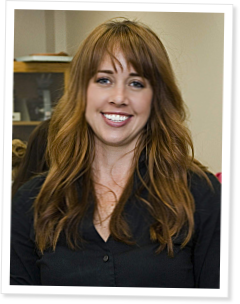 Cooker Perkins is a professor and researcher at Pepperdine University, where she teaches courses in sports medicine and conducts research on maternal and child health. Perkins came on the show to talk about some of her research that was recently featured in the CrossFit Journal article CrossFit Training During Pregnancy and Motherhood. She described how pregnant CrossFit women who continue to work out are breaking new ground in the area of exercising while pregnant. She also gave recommendations and warning signs for women who choose to be active during pregnancy, and she talked about her future research plans. Due to an email problem, Dr. Perkins asks that any women who previously contacted her please reconnect via this address: cperkins@pepperdine.edu. Women who are interested in learning more about the study and participating are also encouraged to contact her at the same address. Initial eligibility: women who voluntarily participated in CrossFit training during their pregnancy (no intensity or frequency requirements) and kept a consistent log of their workouts. Great show. My girlfriend is pregnant, AND we both go to Crossfit A.C.T.! It is an honor and a pleasure to be trained by Bill! Way to go Coach!!!! Coach Bill = BOOM. Much love to him and CFACT. I have tried to email Dr. Perkins a few times using this email - cperkins@pepperdine.edu. and it's not working.